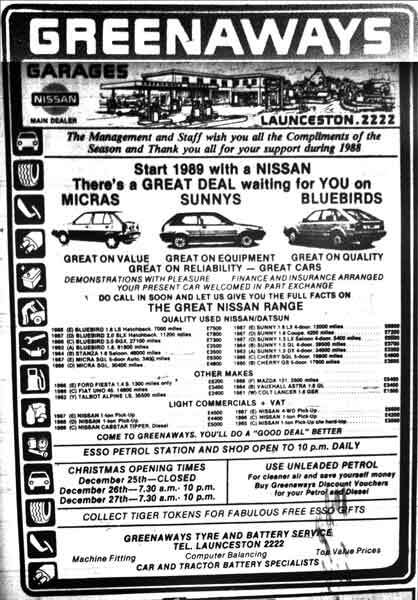 Greenaways Garages | Launceston Then! Mr. John Cotton D. Greenaway lost his father in 1926 at the age of 16, and he took over the family farm , near Bude. In 1934 he married Lois G Marshall. In 1935, Mr Greenaway became the managing director of the Launceston Abattoir. When de-control came and the Abbatoir was taken over by a larger company, Mr. Greenaway decided that the time was ripe for the launching of a full time motor business, having previously bought and sold cars on a small scale. He acquired the nearby building which had been used as a milk depot, and then commenced with a staff of three including himself, calling his fledging company ‘The Kensey Vale Garage.’ The company took on the Morris, Wolseley and Morris Commercial franchise as well as operating a hire drive business.The business grew and new workshops were built at the rear. By 1966 the firm had a staff of 25 and opened a modern extension to the Kensey Vale premises on the site of two old cottages. The North Cornwall M.P. Mr. John Pardoe officially opened the new building which included a showroom, while on the first floor were new offices and a store section as well as a self contained flat. Also in 1966 Mr. Greenaway acquired the old factory of the West Regional Tractors Ltd., In Dutson Road, for use as a body repairing workshop and for the storing of new and used cars. By this time the firm were one of the largest stockist of B.M.C. Spares in the area. His son and daughter, Barry Greenaway and Jacqueline Robbins joined the business. 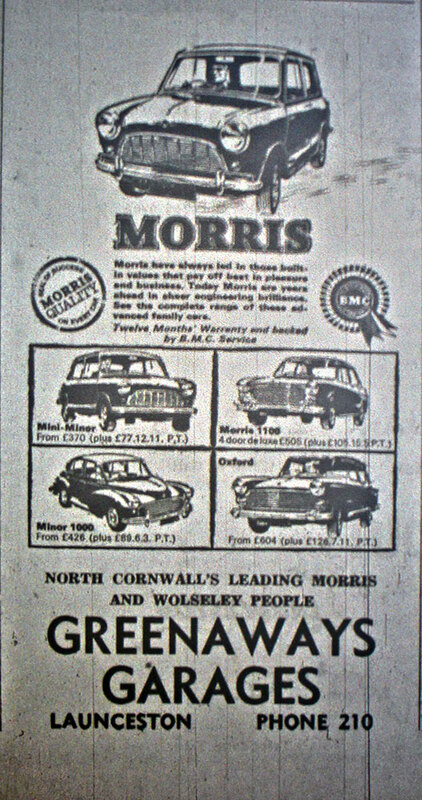 By the mid 1970’s the British motor industry was in decline and disenchanted with the quality, the company took on the Datsun dealership to replace the Morris, Wolseley one. John passed away in June of 1988, with his son Barry and daughter Jacqueline carrying on the business. In the 1990’s Mr. J. B. Greenaway and Mrs. J. Robbins decided to ease back on their business letting out the garage and filling Station.